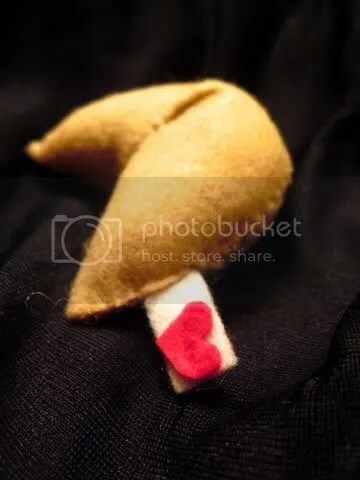 All hand-stitched and hand-stuffed, this fortune cookie is made entirely out of eco-friendly felt and stuffed with poly-fil. Includes a little felt strip of “paper” with a heart sticking out. Both heart and “paper” also made out of felt. We can attach an elastic gold-toned cord for use as a Christmas decoration or as a rear-view mirror hanging, or attach ribbon for the same purpose. We can also add a keychain if you wish to use it as one. Cord or keychain attachments are an additional $0.70 extra. Please allow at least one day for completion; all cookies are freshly made when you order them. 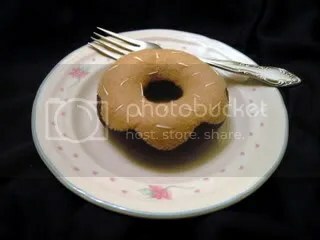 All hand-stitched and hand-stuffed, this donut is made entirely out of eco-friendly felt and stuffed with poly-fil, and decorated with little embroidery thread “sprinkles”. “Flavour” pictured is German Chocolate. Donut measures about 3.5″ in diameter. Please allow at least one day for completion; all donuts are freshly made when you order them.